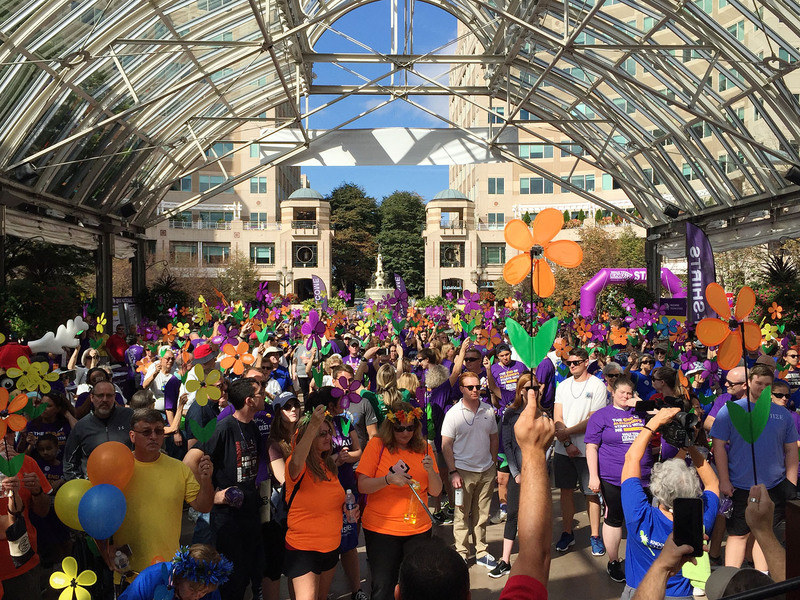 In today’s guest post, Reston resident Erin Heintz discusses an event that took place in Reston last weekend to support research and care for the epidemic of Alzheimer’s disease. 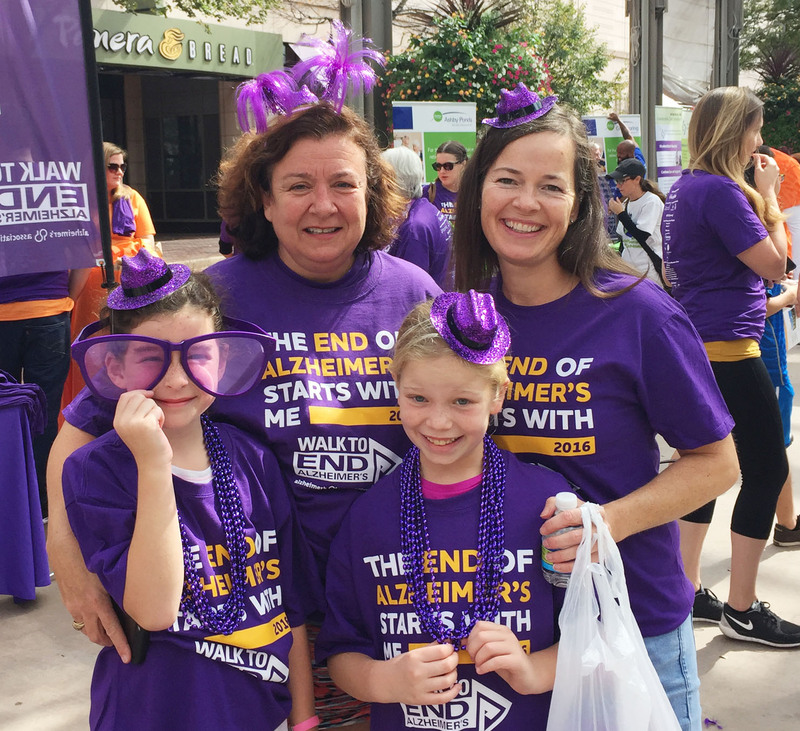 Erin works for the National Capital Area Chapter of the Alzheimer’s Association, and offers an insightful look into this event and the importance of the funds it raises. Alzheimer’s disease is a leading cause of death in Virginia, and on Sunday, September 25 nearly 1,000 people gathered in Reston to Walk to End Alzheimer’s. With brightly colored flowers representing how each person has been touched by the fatal disease, Virginians created a Promise Garden filled with hope that one day we will live in a world without Alzheimer’s. One of the most critical ways to fight Alzheimer’s is to engage elected officials in making it a priority. Congressman Gerry Connolly (D-VA) of Virginia’s 11th district told Walkers, “I promise you I’m going to do my part…until we end Alzheimer’s.” Congressman Connolly is a leader in Alzheimer’s legislation, including co-sponsoring the HOPE for Alzheimer’s Act, which would increase families’ access to information on essential Alzheimer’s care and support. As the population continues aging, prevalence of Alzheimer’s disease in Virginia is set to increase by more than 35% from 2016-2025. In addition to the emotional devastation it causes entire families as the disease slowly progresses, the financial toll of Alzheimer’s is enormous. In 2015, there were 455,000 Virginians providing care to someone with Alzheimer’s disease at a cost – valued but not paid – of $6,354,000,000. When the Walk began, a sea of purple flooded the streets of Reston Town Center. There was music and cheering as Walkers came together to fight this global health epidemic. 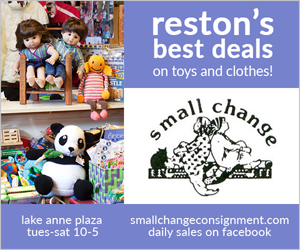 If you missed the Walk to End Alzheimer’s in Reston, there are more local opportunities this fall. 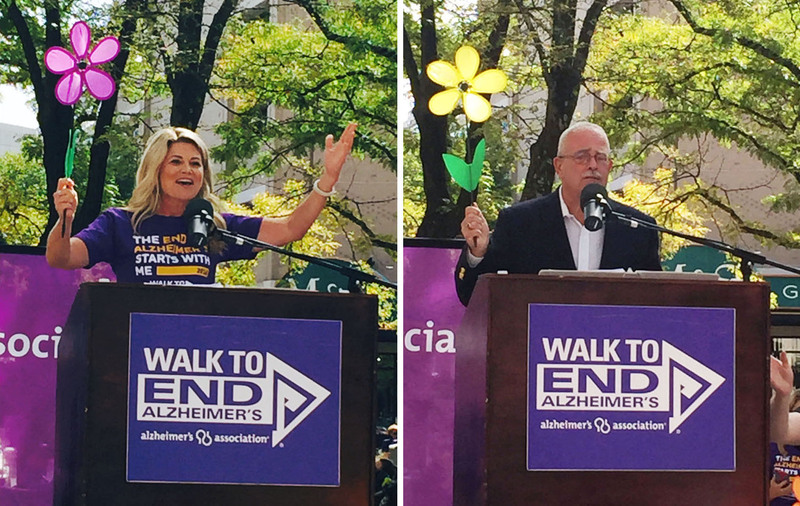 Walk to End Alzheimer’s will be in D.C. on Saturday, October 8, Manassas on Saturday, October 15, and Winchester on Saturday, October 29. For more information on Alzheimer’s disease and how to get involved in northern Virginia, visit alz.org/nca or call the Association’s free 24/7 Helpline at 800.272.3900. Would you like to write a guest post to promote a charitable cause that is important to you? We would love to hear about it. Please contact us at [email protected] with your ideas.